Home Selling is a breeze when you rely on the 20+ years real estate experience of Midas Realty Group’ team. You don’t want to be a surgeon’s first patient. Likewise, you don’t want to be a real estate agent’s first client or home listing. At Midas Realty Group, you can rely on our experienced 29 Palms Real Estate Agents to put our real-life negotiating, pricing, and marketing experiences to work for you when home selling in San Bernardino County, California. 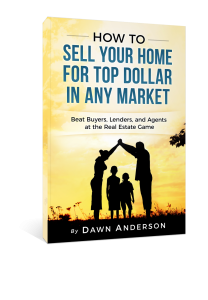 Our experience has been converted to top dollars by our home seller clients. Now, you can put that same experience to work for you. If you are looking for assistance in selling your primary residence, investment property, or even a second home in San Bernardino County, Midas Realty Group has the experienced agents you need to get the job done. In addition to standard equity sales, our experience is called upon by banks and homeowners for help with short sales too. Attorneys seek us out as well for assistance in probate transactions, divorce sales, and where top dollar is needed for their clients. As specialists in selling San Bernardino County residential real estate, we don’t provide just one service to our clients; we also assist our clients in handling the details that can help make the process as easy and as profitable as possible. We do this whether you are local or a long distance owner. We don’t just list homes for sale… we sell them! Call Now for more Information 800-546-2289 OR if you are browsing our site outside of typical business hours (or if you cannot speak on the phone now, complete the information below for your FREE Comparative Market Analysis of your San Bernardino County home.